Today, Microsoft announced an entire battery of new products from their range of Office products, including the new Lync, Exchange and Sharepoint Server. Along with these new products, they also announced an upgrade to Office 365 which will now be based on the newer version of the aforementioned products. 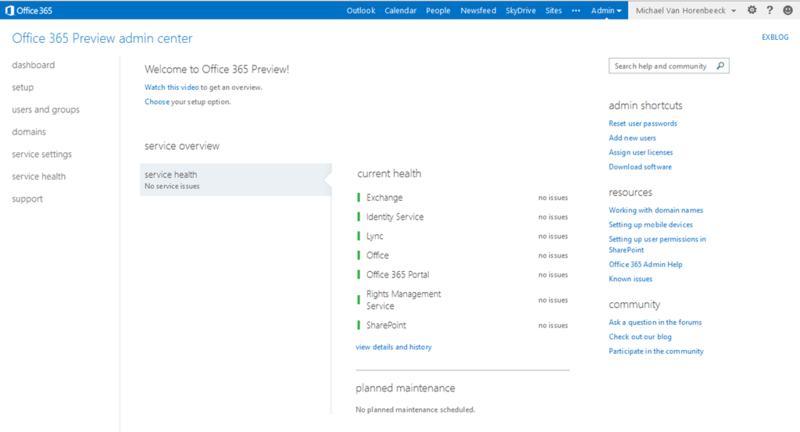 Along with the improvements that come along with the newer versions, Office 365 itself seems to have matured as well. Not only does the new UI look clean, but Microsoft seems to have done a pretty good job listening to the feedback from its customers. Of course new features in Exchange, Lync and SharePoint will also contribute to a much richer experience. I look forward playing a bit with Office 365 in the upcoming weeks. Make sure to check back as I will be regularly posting updates on my findings!